We are always excited to announce when another automotive shop joins our Golden Shine Car Care Products dealer network. 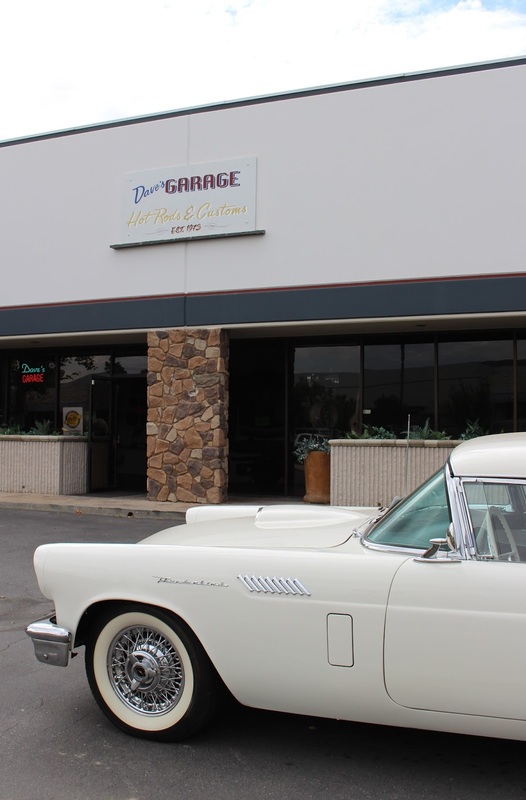 The newest addition to our team is Dave's Garage in Simi Valley, Ca. 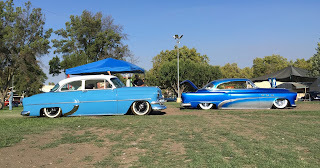 Dave's Garage repairs and builds custom cars, hot rods and muscle cars. 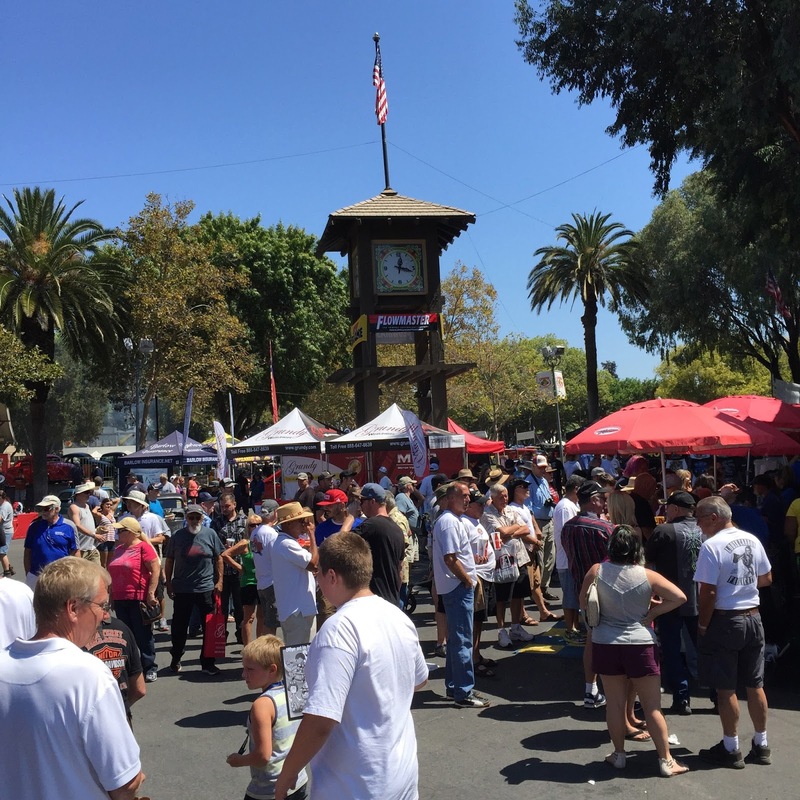 They recently moved to a larger facility and are in the process of setting up a new retail store on Easy St. in Simi Valley. 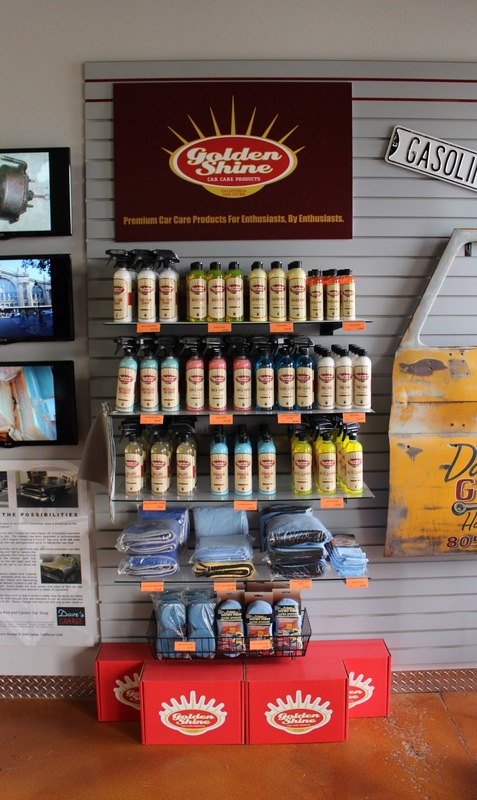 Everyone at California Car Cover is thrilled that Dave's Garage would select our Golden Shine Car Care Products as their detailing line in the store. 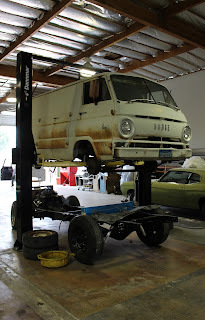 Here are some photos from our recent visit to Dave's Garage. 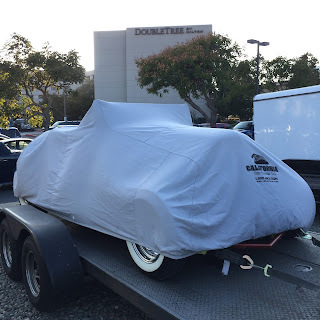 Look forward to news about the official grand opening of the shop later this year. 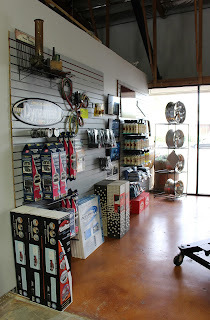 Dave's Garage carries all of our popular Golden Shine Car Care Products, so any of our customers in the Simi Valley & Moorpark area can drop in to pick up their favorites. Dave's Garage Showroom displays products from their featured suppliers. The Garage will do small modifications or complete restorations on classics, so you can contact them about any work you are interesting in having done. We stopped by Dave's Garage on a recent weekday and you can see the variety of cars they customize. Classic pickups, custom vans and muscle cars are all in various stages of restoration. 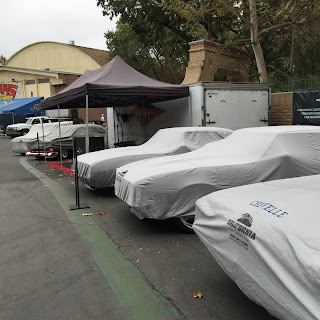 A parking lot of project cars waiting for some work. 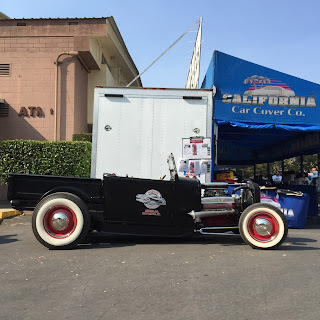 If you are in Ventura County and love our Golden Shine Car Care Products, don't forget to give Dave's Garage a call or visit them in Simi Valley. 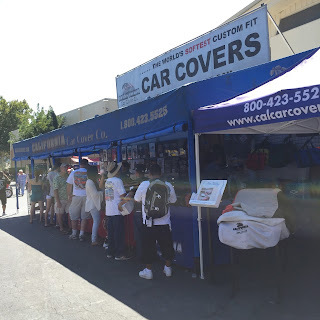 The Goodguys 29th Annual West Coast Nationals took place in Pleasanton, Ca this past weekend and, as usual, the California Car Cover Crew was there. The show always attracts some of the finest classic cars and trucks to Northern California and this year was no exception. 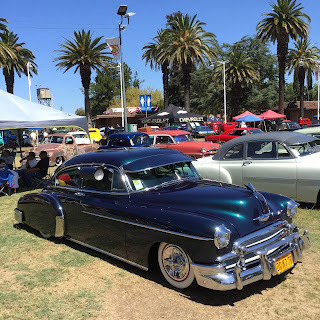 Here are some photos of the great hot rods and muscle cars on display at the 2015 West Coast Nationals. 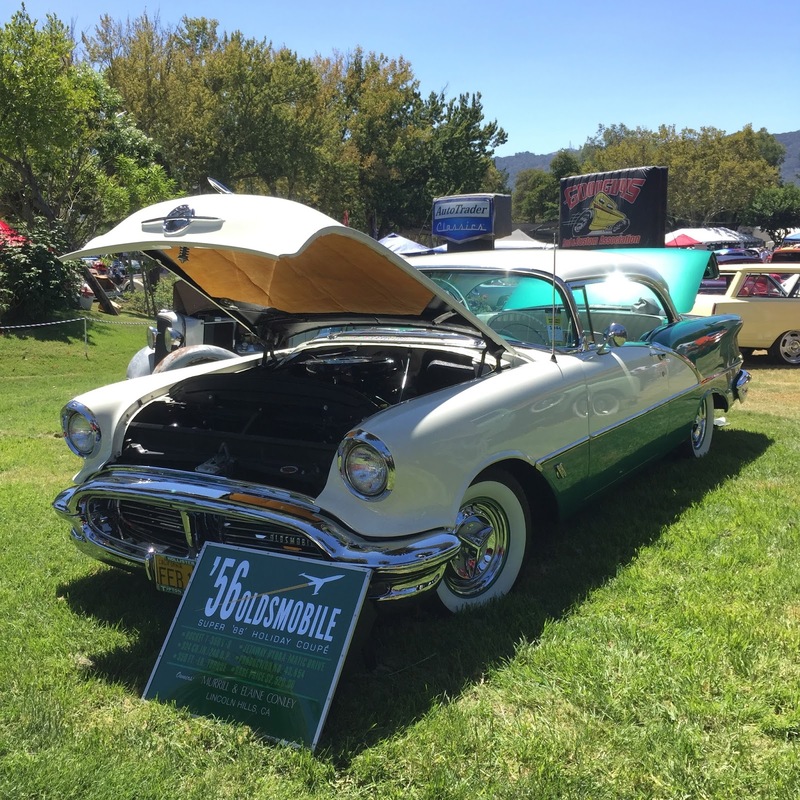 Clean 1948 Ford Convertible at the show. One low 1949 Chevy Pickup at the West Coast Nationals. When is the last time you saw a 2-door Chevy Nova? Probably not recently. 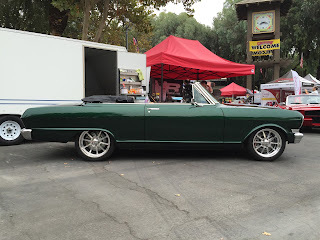 This was a custom built Chevy Nova station wagon dubbed the "Novamad." 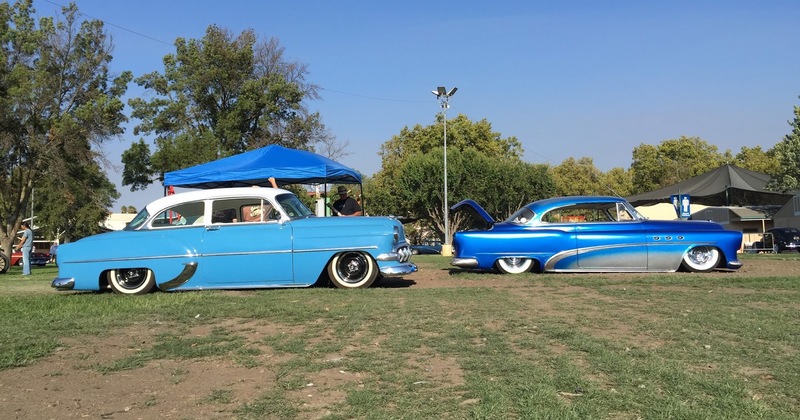 The owner eliminated the rear door and extended the front doors to create a two-door style station wagon. It is powered by a LS-1 engine. 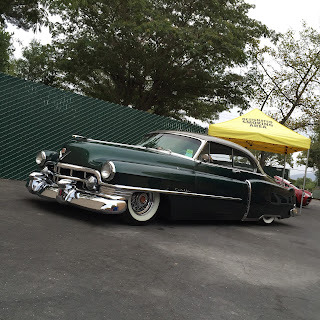 This was one very cool wagon. The 1954 Plymouth Belvedere Wagon got a lot of attention all weekend. 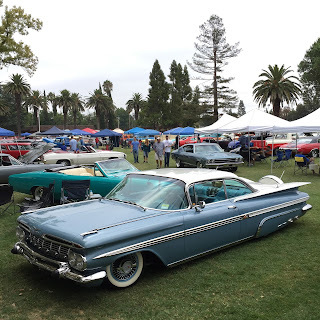 The Buick Invicta from Kindig-It was on display all weekend along with other popular vehicles from their shop. Got to love the dedication! 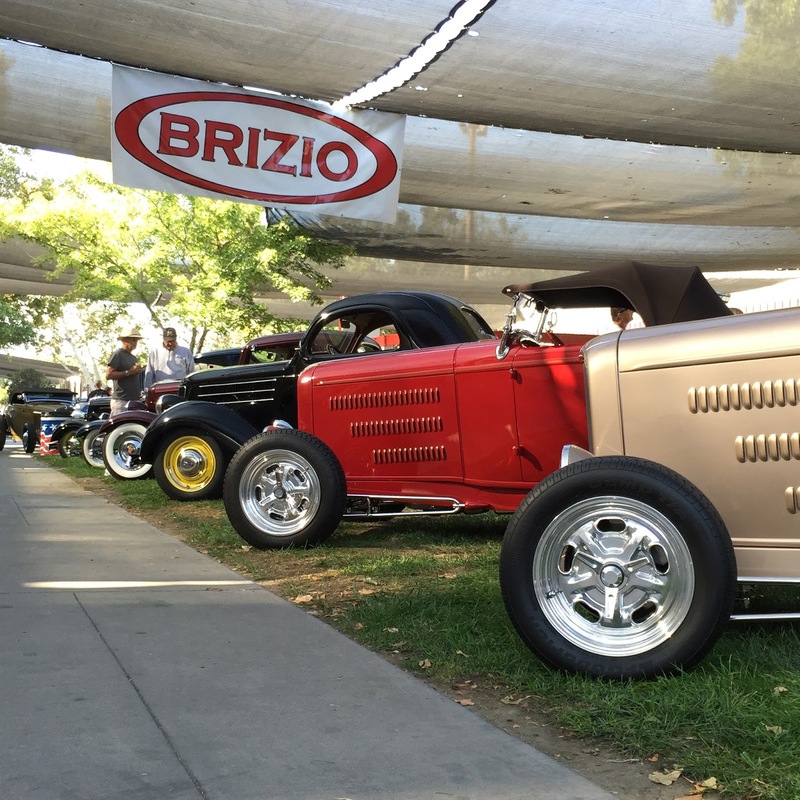 This Model A pickup owner was the first car in line every night during the show. Brizio Street Rods always bring a nice group of classic Fords to the West Coast Nationals. Glad we could help the team at Gearhead Garage in Sacramento, Ca keep their muscle cars clean overnight. 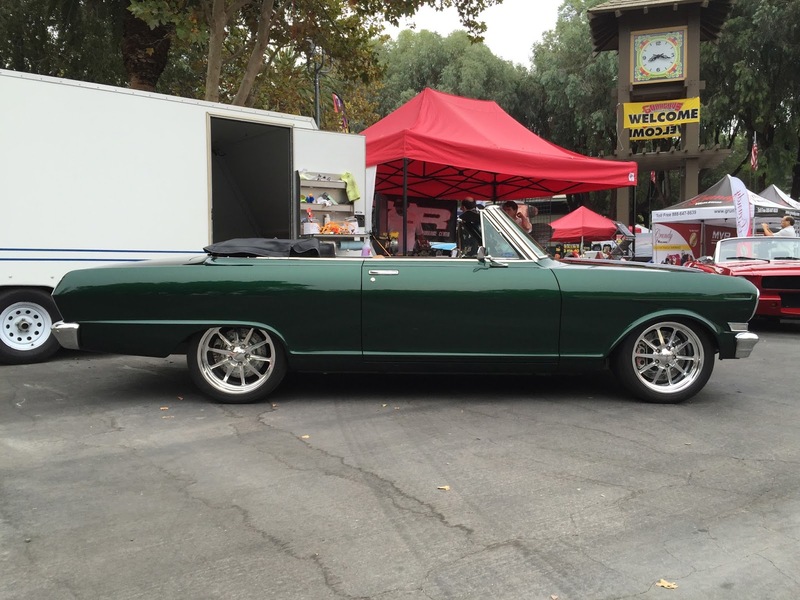 Our friends at Campbell Auto Restorations (CAR) had a few of their well restored muscle cars on display including this Chevy Nova Convertible. 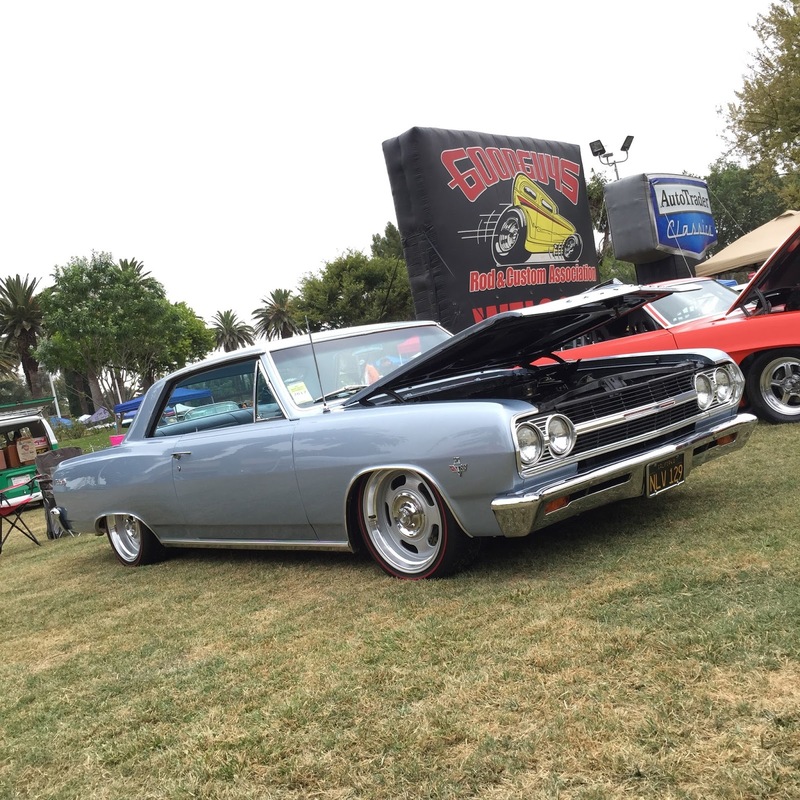 This 1967 Chevy Chevelle features a LS-1 engine and 6-speed transmission. 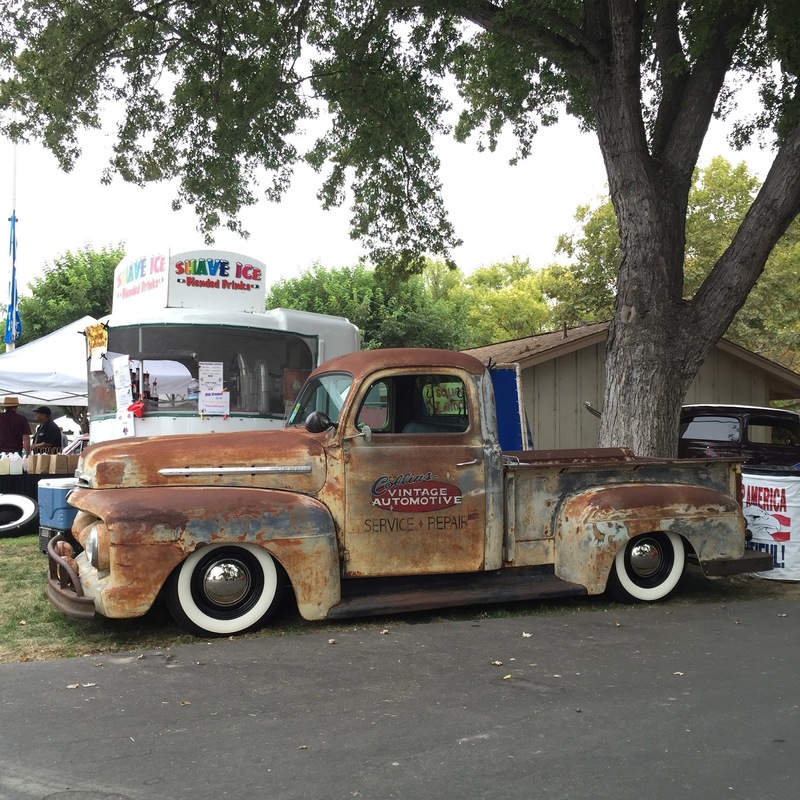 1951 Ford Pickup with some patina. Our friends at Moal Coachbuilders built this Speedway Roadster for notable automotive TV personality Wayne Carini. 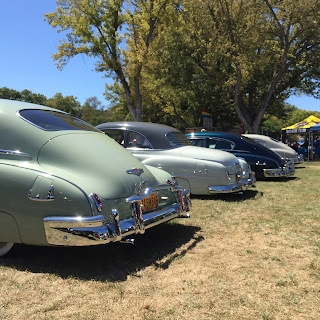 The award winners lining up before the awards ceremony. One of the award winners stopping by to get fitted for a custom car cover. Can't drive home to Los Angeles without a stop at In-N-Out Burger in Kettleman City. Thank you to all of the great friends and customers who stopped by to say hello the last few days in Pleasanton. We loved seeing and hearing from everyone. 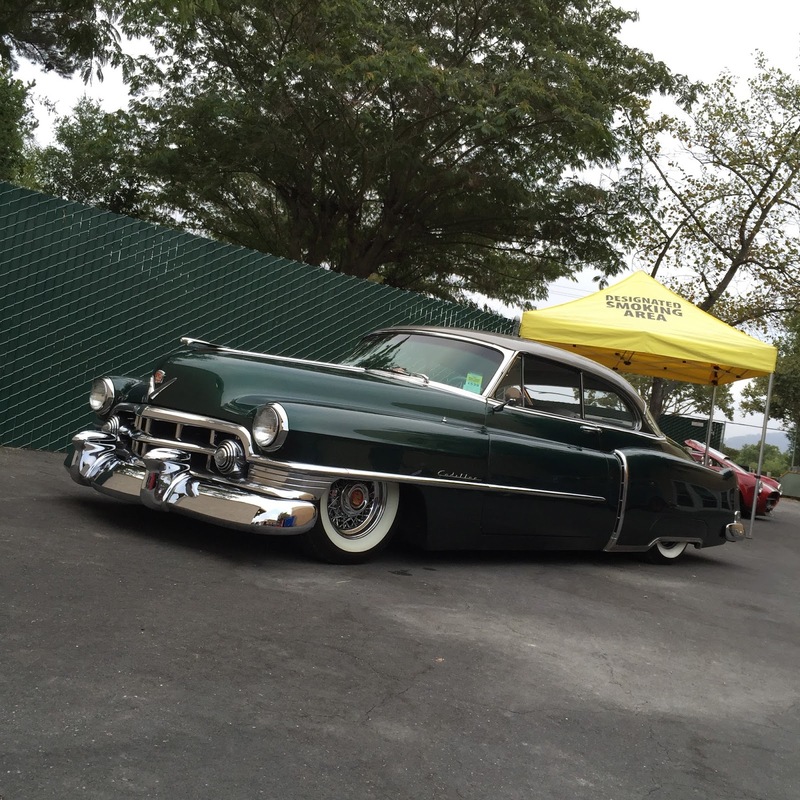 We hope to see all of our customers back at the Goodguys event in November.